And so, after three weeks or so of merci, it is now time to bid adieu. The 1,235th and final game of Arsène Wenger’s tenure – the most revolutionary of its kind in English football’s modern era – ended not with the ‘bang’ of his best Arsenal sides in the past or the ‘whimper’ we have become more used to of late, but a welcome routine victory in the sunshine and a smile on every face. As an occasion, this could easily have felt anticlimactic. 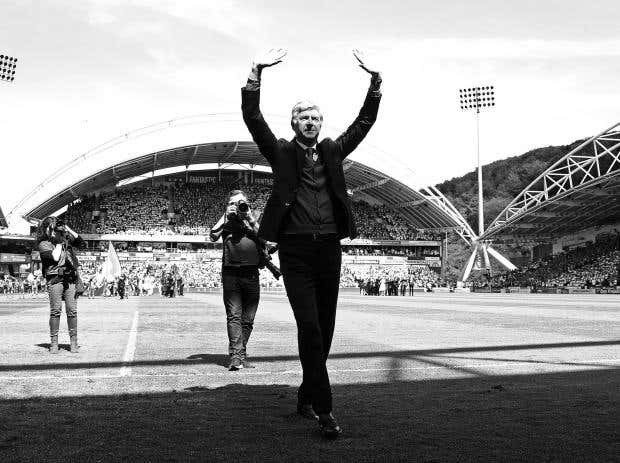 The shock of the initial announcement has long passed and last Sunday – Wenger’s final appearance at the home he built for his beloved football club – is likely to be remembered as his proper farewell. Yet in Huddersfield, Arsenal found a town and club eager to end this season in a celebratory fashion. Just 72 hours earlier, most of the David Wagner’s starting line-up were asleep in the afternoon, nursing well-earned hangovers. 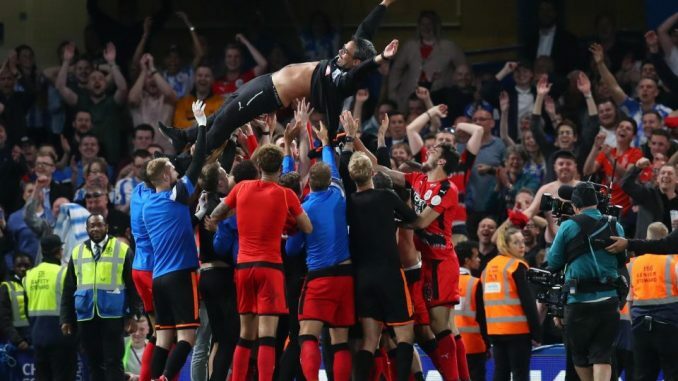 Wednesday night’s unlikely point at Stamford Bridge to secure Premier League survival was followed by a tired and emotional journey home on the 6.30am out of Euston. Plenty of Huddersfield’s noisy supporters have spent the last few days revelling too and the Terriers could have been forgiven for wishing to avoid indulging in the hair of the dog. 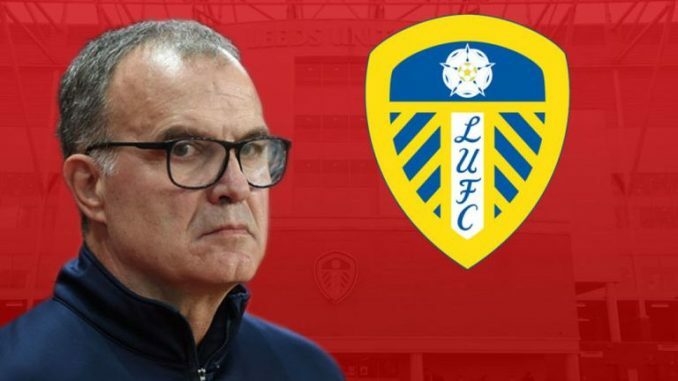 This club has graced the top flight with a sense of pride, place and purpose all season though, and so the John Smith’s Stadium did not pass up the chance for one last party atmosphere, to pay respect to a managerial great. Wenger was first presented with a half-and-half shirt – number 1,235 – in the tunnel before kick-off, then emerged to a guard of honour. He gratefully received the applause but, in the politest way possible, made a quick beeline to the away end, where the reception was warmer still. 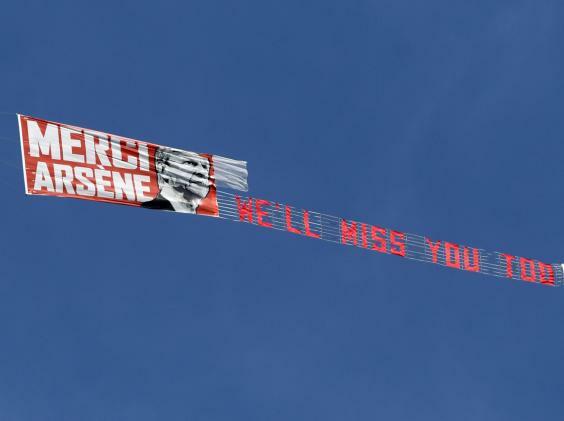 Wenger bowed in deference to travelling supporters who, like him, have dedicated their lives to Arsenal. The fly-overs followed and 22 minutes after the kick-off, all four sides of the John Smith’s rose in enthusiastic applause. 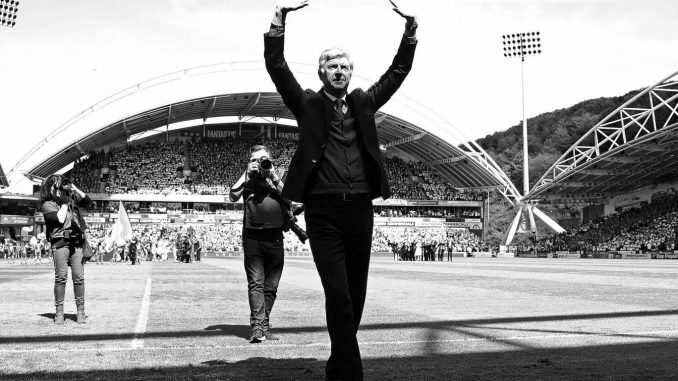 Wenger, a touch bashful, raised his hands in acknowledgement and offered a wave to the away end, but his focus quickly returned to where it has invariably been since his arrival on these shores in 1996: the football. For all their hospitality, Huddersfield had threatened to spoil his day in the opening stages. The hosts’ promising build-up play early on was almost rewarded but Steve Mounié’s header was saved low by David Ospina, guarding Arsenal’s goal instead of the injured Petr Cech. Tom Ince was then presented with a fine opportunity to open the scoring shortly after the 10-minute mark, but despite a neat first touch on Alex Pritchard’s square pass, he blazed over at point-blank range. 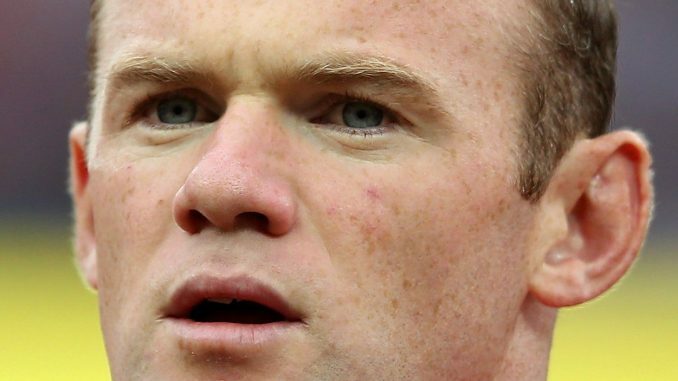 At that stage, an eighth consecutive league defeat away from home for Arsenal did not appear out of the question. It has been a difficult campaign in north London, and their sixth-place finish is the worst since Wenger’s arrival, but there are two causes for optimism: the renewal that the manager’s departure will bring and the increasingly-impressive Pierre-Emerick Aubameyang. 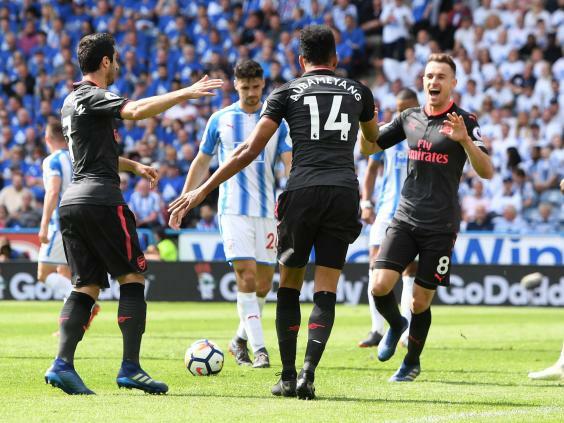 Only the free-scoring Mohamed Salah has more league goals to his name than Aubameyang since his winter arrival from Borussia Dortmund and after Henrikh Mkhitayran, Alexandre Lacazette and Aaron Ramsey all combined brilliantly to work the ball into Huddersfield’s box, he was on hand to convert at the far post for the tenth of his half-season. Huddersfield came again in the second half. Ince’s low, drilled effort was brilliantly turned away by Ospina on the hour mark and as the contest entered its closing stages, Aaron Mooy struck the top of the crossbar with a wicked, dipping effort. 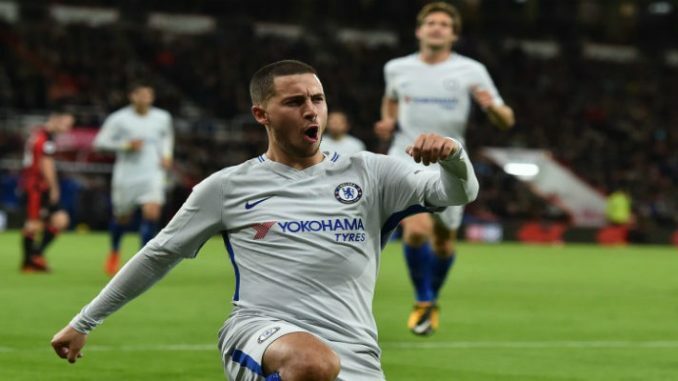 Arsenal, though, were by-and-large comfortable once their lead was established, and a team that has so often wilted under a moderate amount of pressure was instead resolved that these first away points of 2018 would be won – for their manager, more than anyone else.